Security Memetics: What About General Browsing? I actually use private browsing a lot - no, not because I browse privates a lot, but because I actually use it for most pages I open. 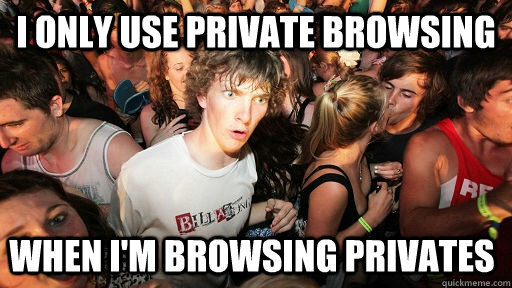 The only pages I open outside of private browsing are ones I want to still be open the next time I launch my browser. When Clocks Are Outlawed Who Will Serve Time? Privacy, Mom! Do You Know It?